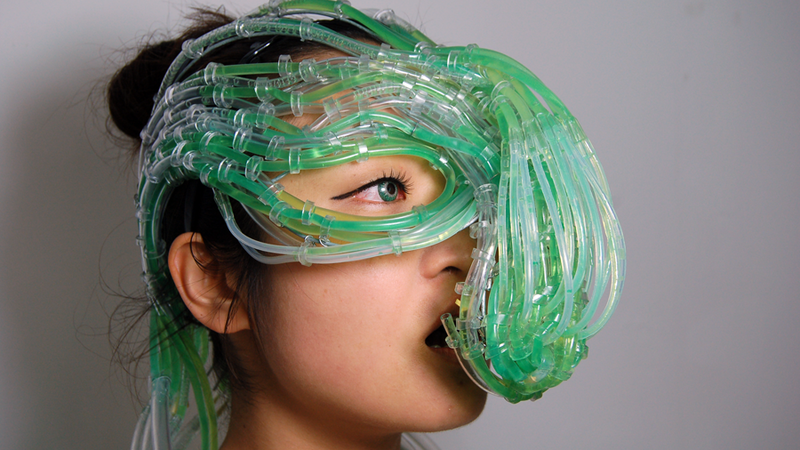 burton nitta’s “algaculture symbiosis suit” | Abler. 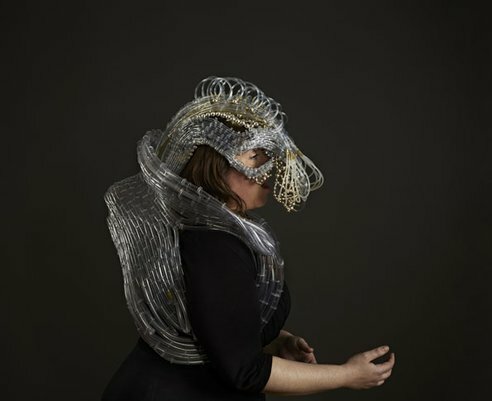 The remarkable design duo Michael Burton and Michiko Nitta have created this wearable for sustenance—the Algaculture Symbiosis Suit. As part of their “After Agri” project, the suit allows its wearer, in effect, to eat sunlight—to feed on algae that would be grown inside the body. Algaculture designs a new symbiotic relationship between humans and algae. It proposes a future where humans will be enhanced with algae living inside new bodily organs, allowing us to be semi-photosynthetic. Almost enabling us to become plant-like by gaining food from light. As such, we will be symbionts (meaning that both entities entirely depend on each other for survival), entering into a mutually beneficial relationship with the algae. 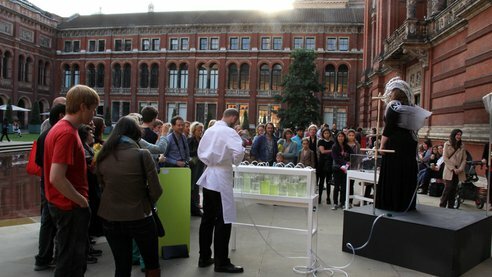 Treehugger reports that the team exhibited this work at the Victoria & Albert Museum last year. 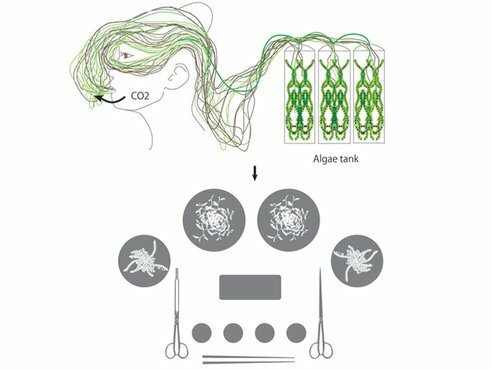 The team live-harvested the carbon dioxide of an opera singer to feed the algae, which could then be eaten by humans; its taste quality would be affected by pitches and timbres of the exhale, creating a kind of echo of the sonic performance. Image credits and more at Burton Nitta and Treehugger. Thanks, Kristen!